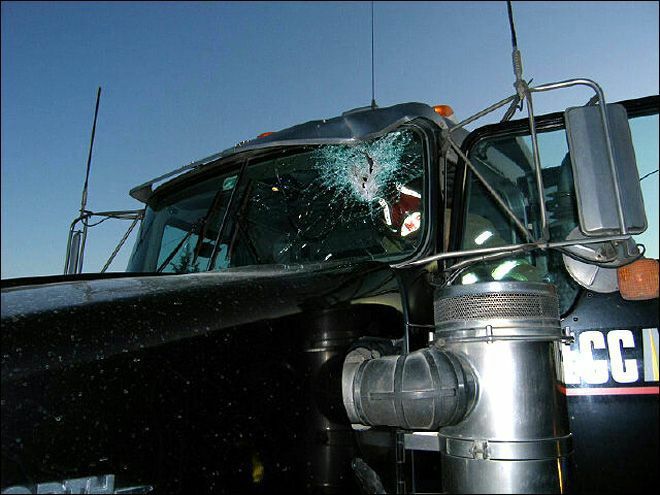 In one of the most bizarre instances of roadway debris car accidents, Washington State Patrol (WSP) troopers say a truck driver received minor injuries when a trailer hitch crashed through his windshield Tuesday morning on Interstate 5 near Tacoma. According to WSP Trooper Guy Gill, the dump truck driver was in the southbound lane of I-5 near L Street in Tacoma when a trailer hitch crashed into his windshield. The driver suffered minor injuries in the roadway debris accident, and medics treated him on the scene of the crash. WSP officials are unsure where the trailer hitch may have come from, but Gill says the driver is “extremely fortunate to escape with only minor injuries.” One lane of traffic was blocked for a short amount of time, and the crash remains under investigation. Did you know that drivers are responsible for making sure that their vehicles are safe to travel down the road and that any items being hauled are secure? If you have been injured in a car accident from roadway debris or a similar incident, get the legal aid that you need by calling the attorneys at Davis Law Group at 206-727-4000 today.